In October 1877 my great great grandmother Annie Frances Chauncy (1857-1883) married Philip Champion de Crespigny (1850-1927). 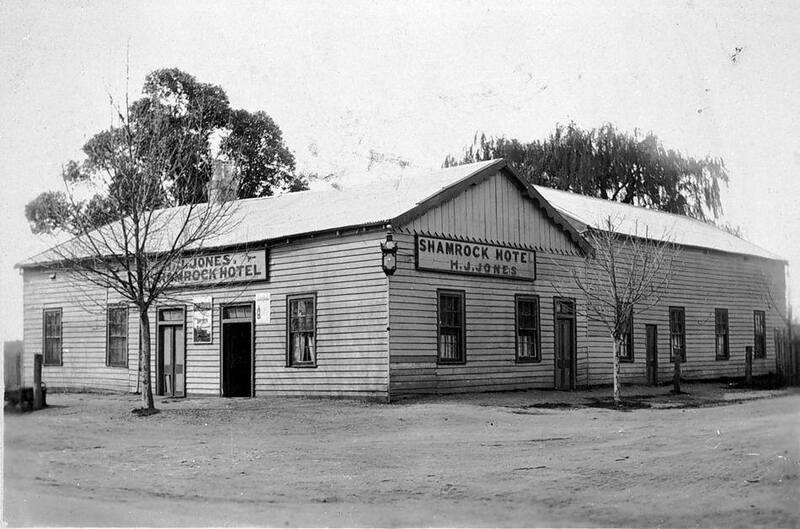 At the time of their marriage Philip was the manager of the Bank of Victoria branch at Epsom five miles north-east of Bendigo. Their first son Philip was born at there on 18 June 1879. 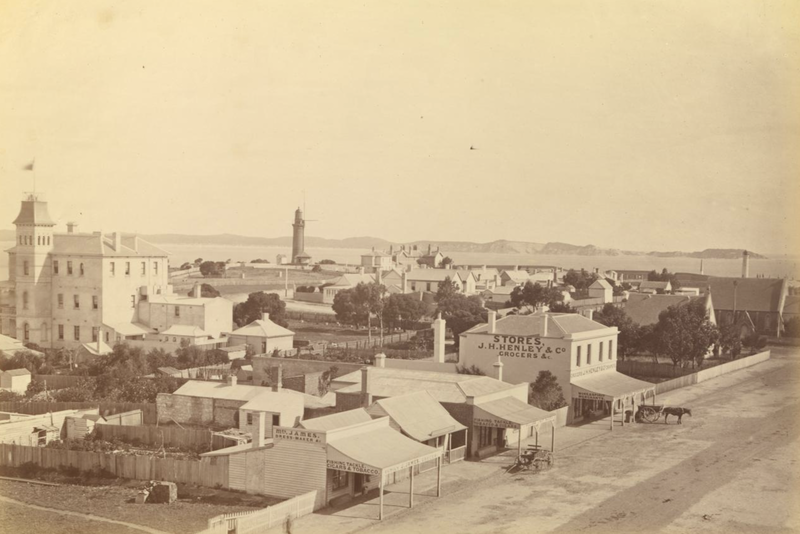 In early 1882 Philip moved from Epsom to Queenscliff, a small town on the Bellarine Peninsula 30 kilometres south-east of Geelong. The Bank of Victoria was at 76 Hesse Street. 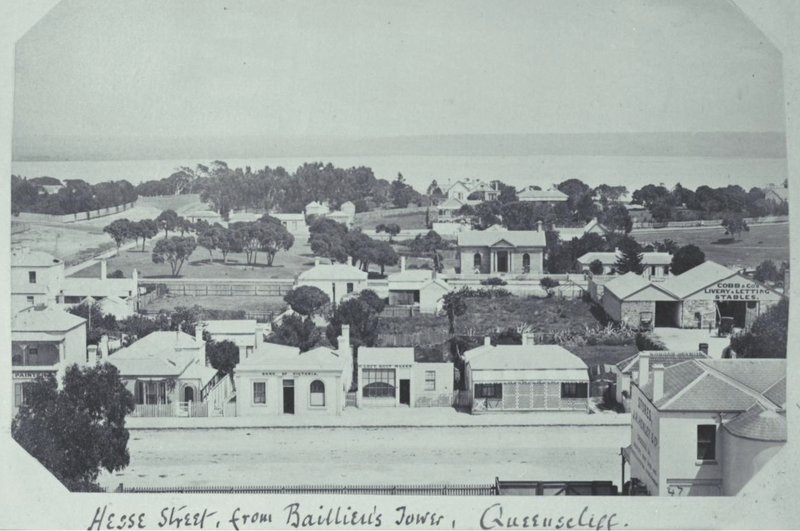 Hesse Street from Baillieu’s Tower, Queenscliff. 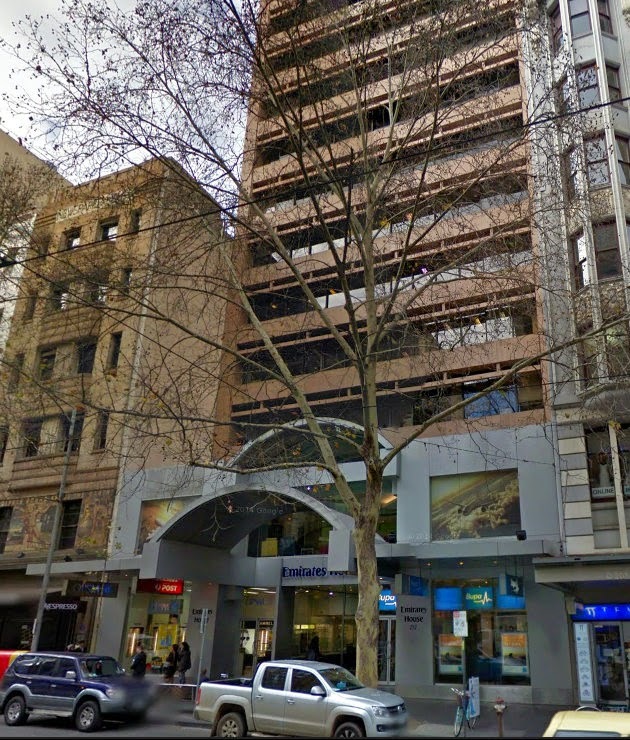 Baillieu’s Tower was later called the Ozone Hotel and was on Gellibrand Street.. 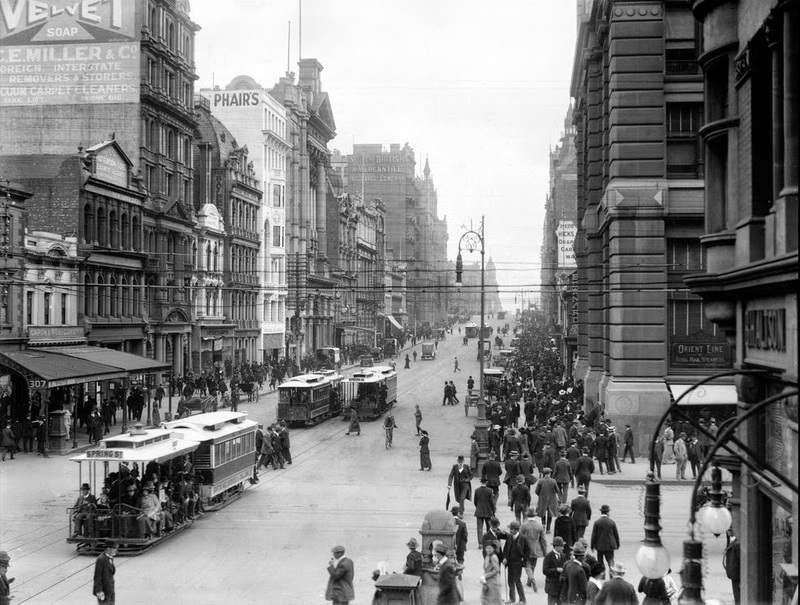 The Bank of Victoria can be seen towards the centre foreground. 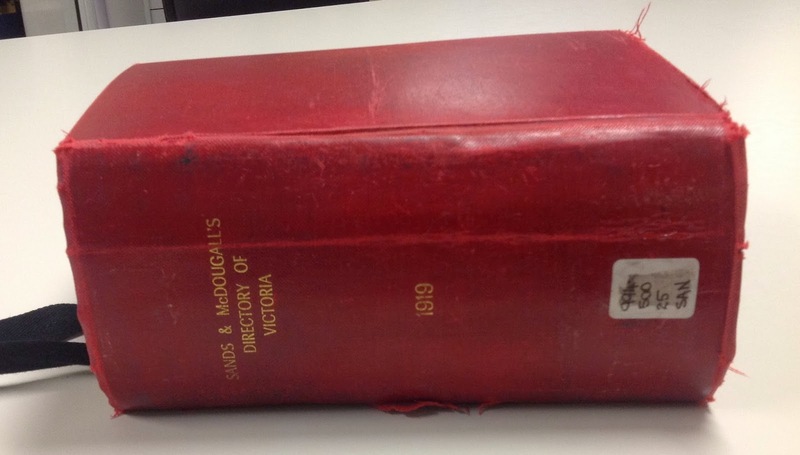 Image from the National Library of Australia PIC/8760/67 LOC Album 19/nla.obj-140532878. 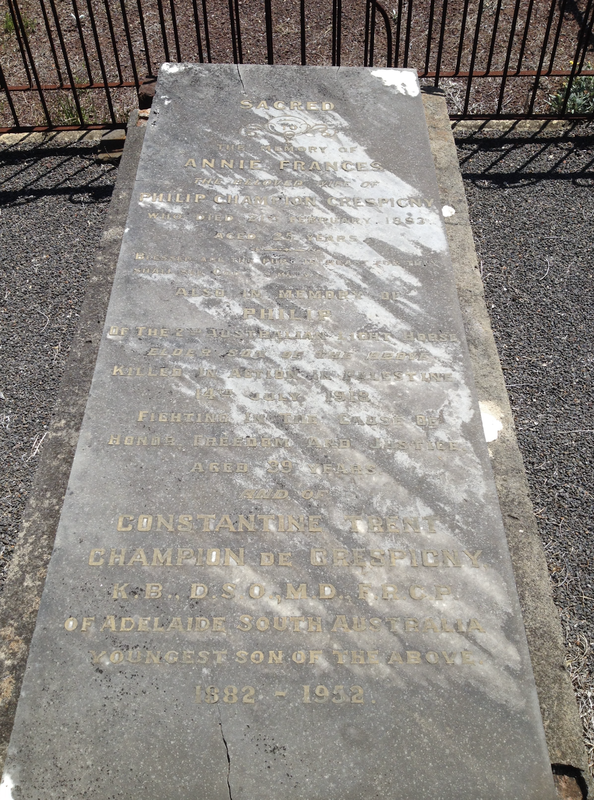 On 5 March 1882 Philip and Annie’s son Constantine Trent Champion de Crespigny was born in Queenscliff in the Bank of Victoria where his father was manager. We have some transcripts of family letters. One that survives from January 1883 is to his mother Charlotte Crespigny nee Dana about her visit to Queenscliff. Only a few lines to tell you how eagerly we are all of us looking forward to your visit. I do hope you will start immediately after the mail is delivered. You had better come by the mid-day train reaching here at 2.45. I have enclosed Vi a ticket by the Williams which will defray half her expenses when she pays her visit and this will prevent your feeling the extra expense of taking a single ticket instead of a return which is only available now from Friday till Monday. (Philip was called Lou or Loup, ‘wolf’ in French, by his family. 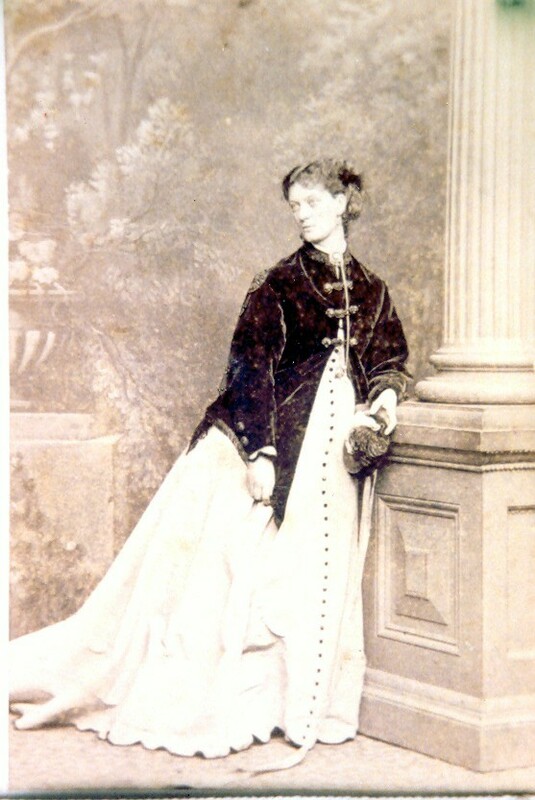 Vi was his sister Viola (1855-1929). One month after Philip wrote to his mother, at the young age of 25, Annie Frances died after a three week illness of what was diagnosed as pelvic cellulitis, a bacterial infection of tissue adjacent to the uterus. Pelvic cellulitis was often a complication of childbirth. Annie quite possibly died after a third pregnancy. She left two small children, Philip was 3 and Constantine Trent was 11 months. Annie is buried in Point Lonsdale cemetery. Her sons are remembered on her gravestone. Philip (1879-1918) was killed in action near Jerusalem in World War 1. Constantine Trent (1882-1952) died in Adelaide and was cremated. The building which was formerly the Bank of Victoria at 76 Hesse Street is still standing. From Google street view it looks as though it is now a cafe. It is mentioned in the Queenscliff Heritage Study 2009. 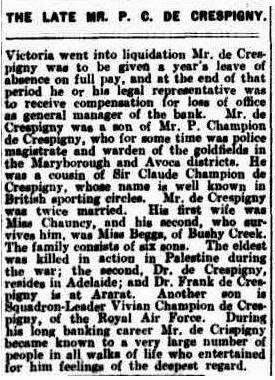 My great great grandfather Philip Champion de Crespigny (1850-1927) was the manager of the Bank of Victoria branch at Epsom five miles north-east of Bendigo. He was manager there at the time of his marriage to Annie Frances Chauncy in October 1877. 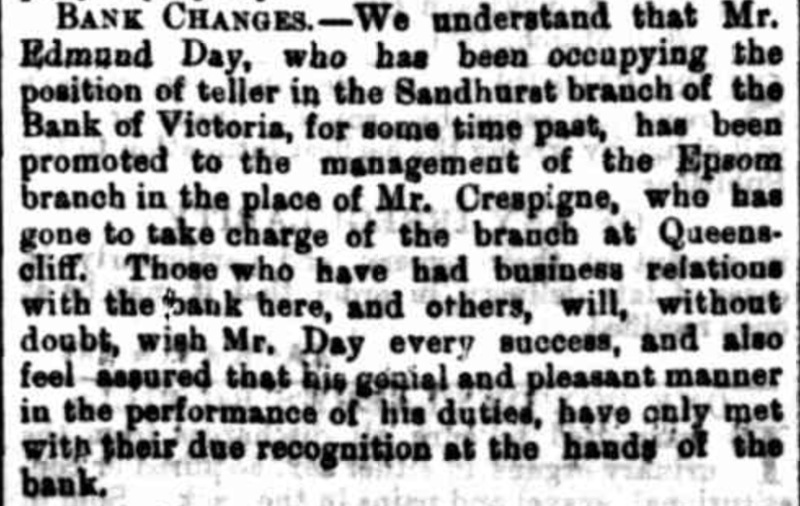 I found the following news item on Trove which shows some of the social life at Epsom in 1880 when the de Crespigny family lived there. 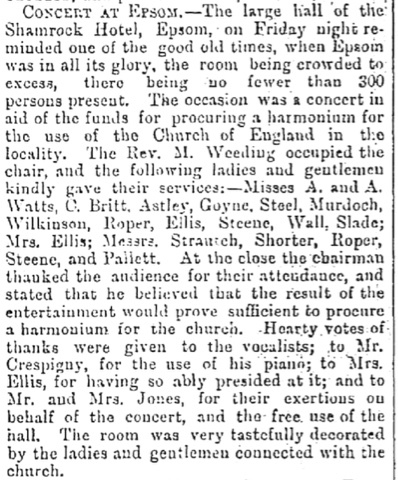 Philip had loaned his piano for a concert to raise funds for the Church of England to buy a new harmonium. I think the church might be St Luke’s at White Hills, built in the 1860s. 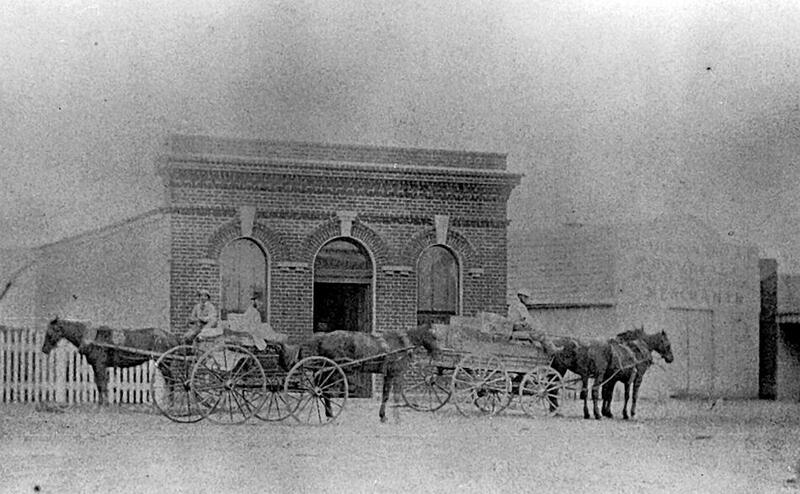 I have looked and can find no photos from the early 1880s of the Epsom branch of the Bank of Victoria, and the building does not appear to have survived. This week’s Sepia Saturday picture is a prompt for the topic of banking. There are several bankers in my family tree. One of them is my great great grandfather Edward Walter Hughes (1854-1922). E. W. Hughes from Hudson, Helen Lesley Cherry stones : adventures in genealogy of Taylor, Hutcheson, Hawkins of Scotland, Plaisted, Green, Hughes of England and Wales … who immigrated to Australia between 1822 and 1850. H.L. Hudson, [Berwick] Vic, 1985.page 81. 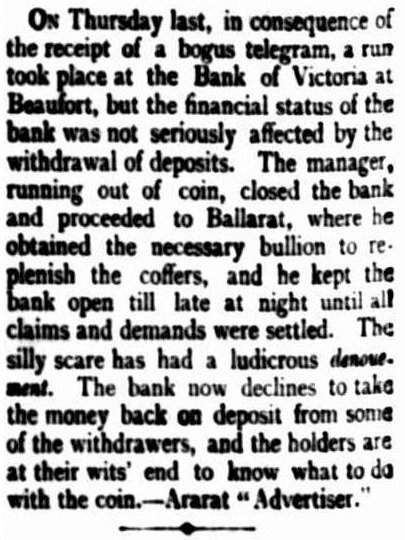 Edward Hughes was manager of the Bank of Victoria at Beaufort, Victoria, 50 km from Ballarat. 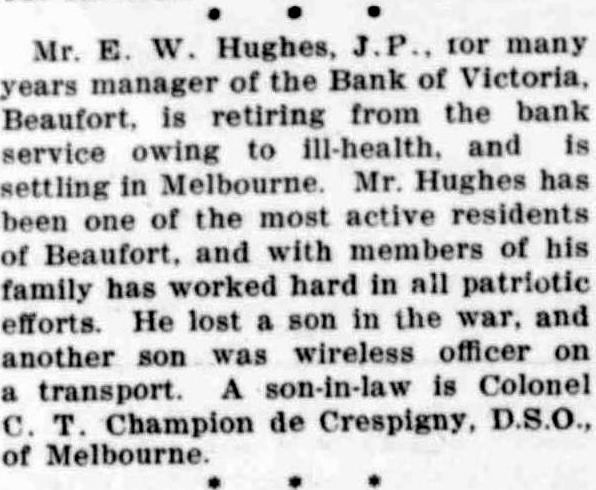 In 1883 when he married at the age of 29, Hughes was working with the Bank of Victoria, though possibly not, so far as I know, at its Beaufort branch. In 1906 he was manager of the Beaufort branch when his daughter Beatrix, my great grandmother, married. His son Vyvyan was born in Beaufort in 1888 but his son Reginald was born in Essendon, Melbourne, in 1886, so I assume Edward Hughes moved to Beaufort about 1887. 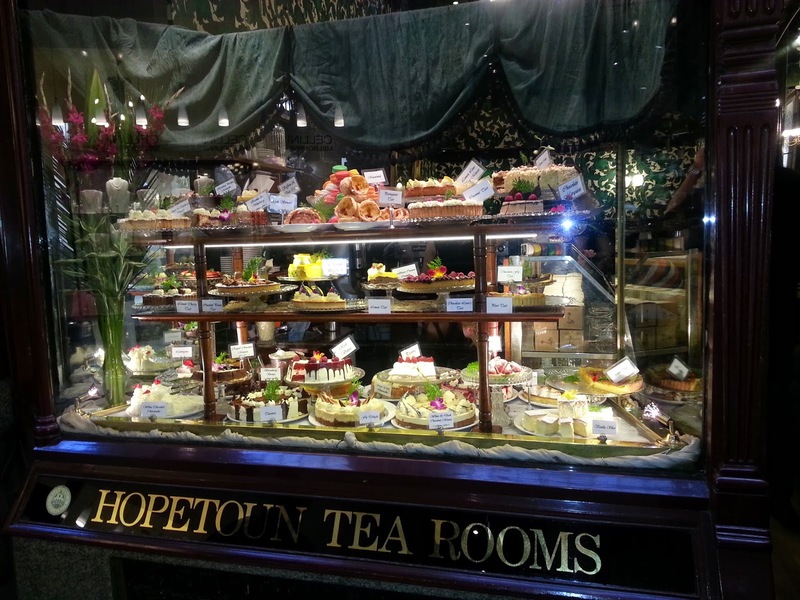 He retired from his job of bank manager in Beaufort in 1919 due to ill health. 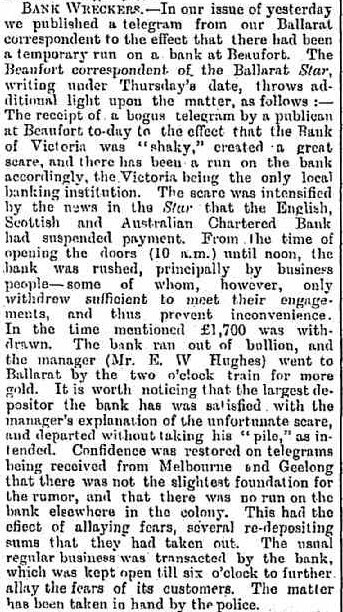 In mid-April 1893, while Hughes was manager at Beaufort, there was a run on the bank. The branch at Beaufort ran out of bullion and Mr Hughes travelled to Ballarat by the 2 p.m. train for more gold. When I think of a bank run I think of the scene from the film of Mary Poppins when Michael wants to keep his tuppence to feed the birds. There was a report that the bank declined to take deposits from some of their customers who had withdrawn their funds at the time of the run. 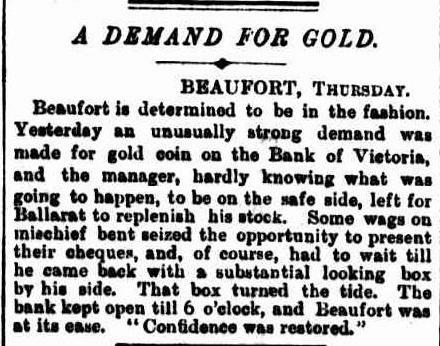 The Beaufort depositors in the Bank of Victoria were right to be wary . 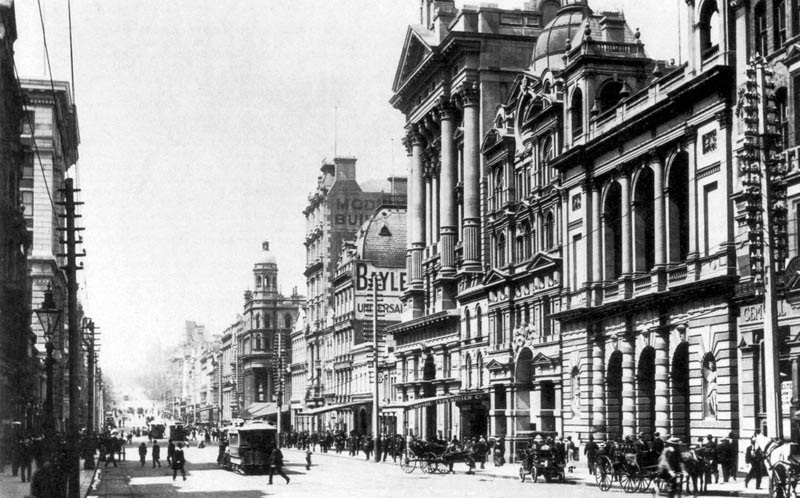 On 28 January 1893 the Federal Bank of Australia in Melbourne had run out of cash and closed. On 4 April the Commercial Bank of Australia, then one of Australia’s largest, suspended operations. Twelve other banks followed in quick succession and depositors struggled to retrieve their savings. 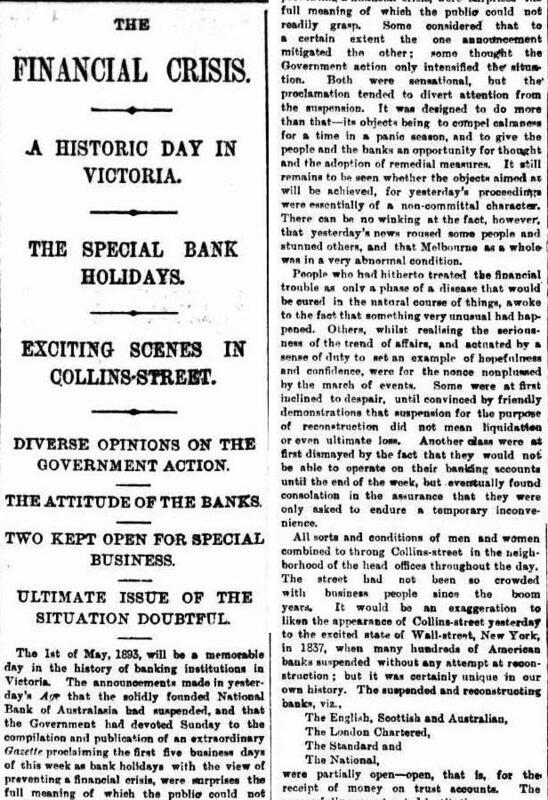 On Sunday 30 April the Victorian Cabinet met and in an attempt to manage the financial crisis, decided to close all banks for the following week. 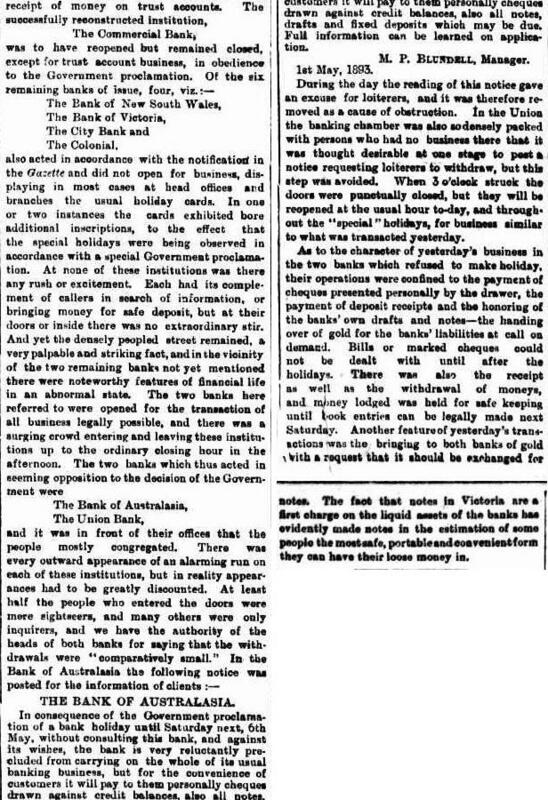 On 1 May 1893 the Bank of Victoria and other Victorian banks closed their doors for a week. 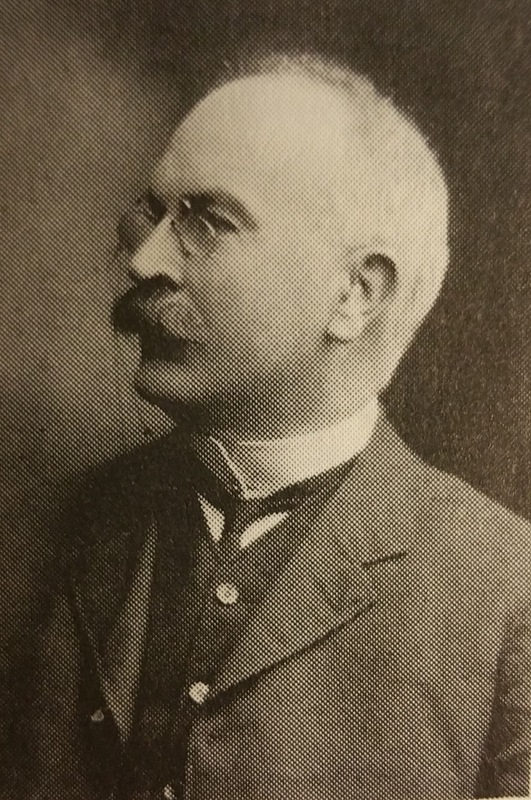 E. W. Hughes retired in 1919 aged 65. He died in 1922 in Melbourne. I had trouble identifying the building of the former Beaufort Bank of Victoria. 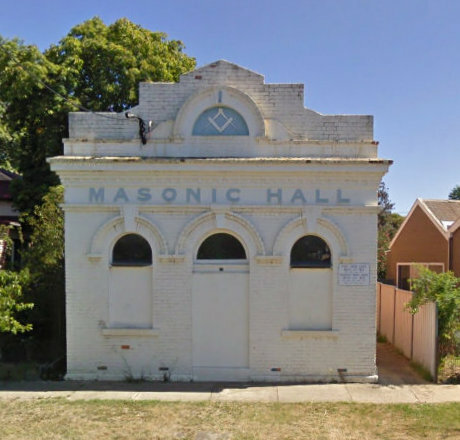 In the twentieth century the building, in Havelock Street, was converted to a Masonic Hall. A parapet was added incorporating the Masonic device of a square and set of compasses. The building has since been subdivided into three flats and sold. 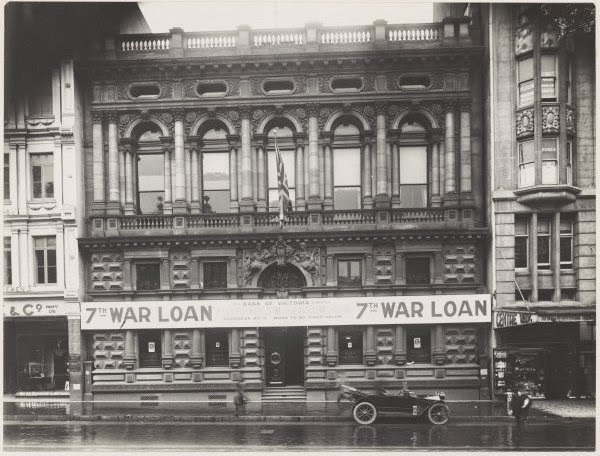 The Bank of Victoria merged with the Commercial Banking Company of Sydney in 1927. 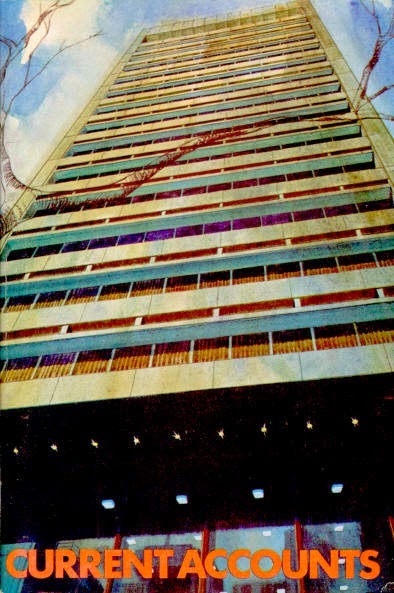 The CBC merged with the National Australia Bank in 1982. Davison, Graeme, 1940-, Macintyre, Stuart, 1947- and Hirst, J. B. (John Bradley), 1942- The Oxford companion to Australian history. Oxford University Press, Melbourne ; Oxford, 1999. 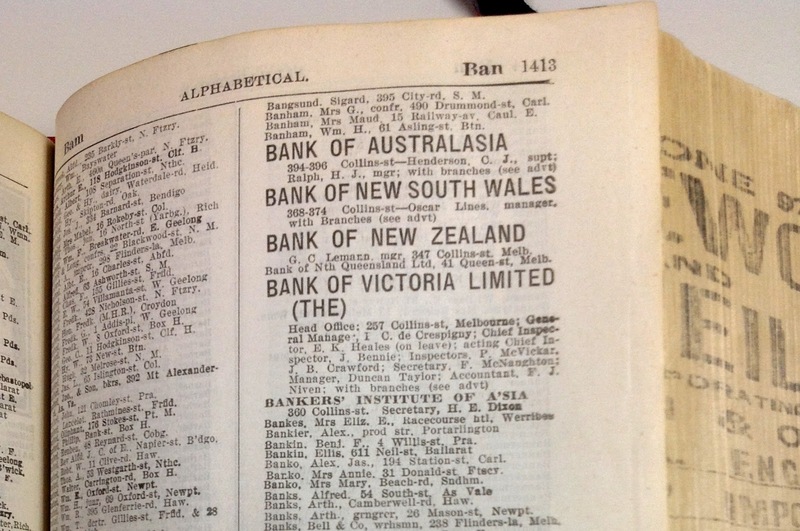 Wikipedia contributors, “Australian banking crisis of 1893,” Wikipedia, The Free Encyclopedia, https://en.wikipedia.org/wiki/Australian_banking_crisis_of_1893 (accessed August 14, 2015). K is for Kanatte General Cemetery in Colombo concerning Vyvyan, son of E. W. Hughes, who was born in Beaufort and grew up there. Vyvyan died during World War 1.